← Curiosity update: Go for drill on the red Jura! Just another quiet day on Mars. This cluster of [impact] craters is located, ironically, in Utopia Planitia. 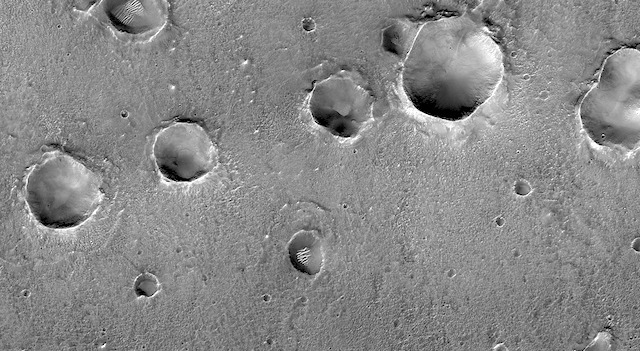 This entry was posted in Reports and tagged Beautiful Mars, High Resolution Imaging Science Experiment, HiRISE, impact craters, Mars Reconnaissance Orbiter, MRO, NASA, University of Arizona, Utopia Planitia. Bookmark the permalink.